Separate the leek slices and soak them in a small bowl of water for a couple minutes. This will allow the dirt to sink to the bottom. Remove leeks with a slotted spoon and allow to drain off excess water. Melt the butter in a 10-inch skillet over medium heat. Add the leeks and sauté until the leeks start to brown, 8-10 minutes. Whisk the eggs in a bowl and add the turkey, salsa, and cheese. Stir to combine and season with salt and pepper. Pour egg mixture into skillet with the cooked leeks. Allow the eggs to cook undisturbed, until they set, about 10-12 minutes. Brown the frittata 4-6 inches under the broiler. 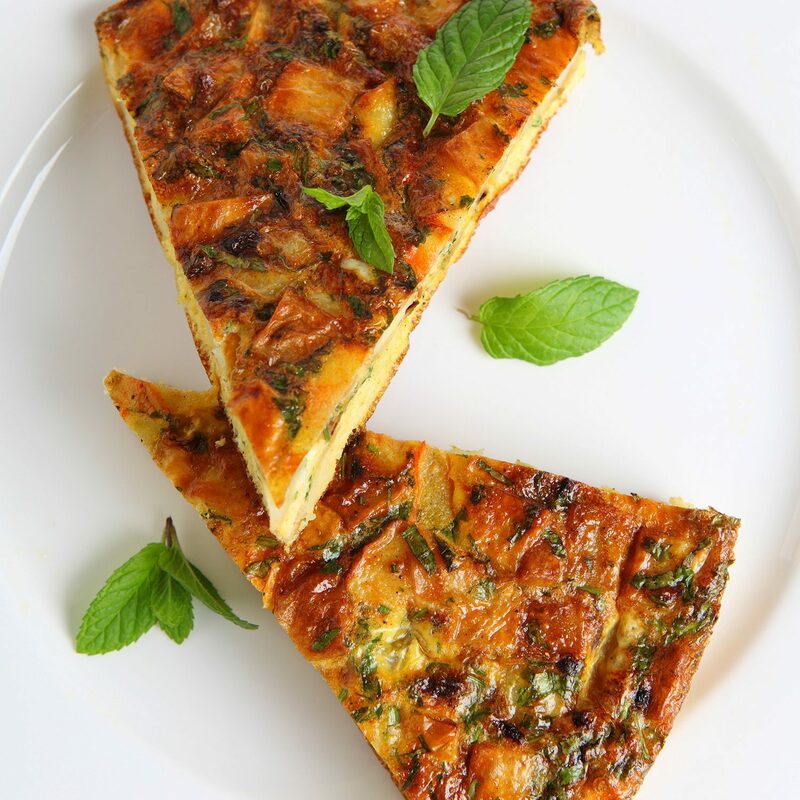 When done, slide the frittata onto a plate, slice into wedges, and serve.